The gloves were off in Hong Kong earlier this month, as Chef Aarik Persaud from the Butchers Club and Chef Jack Carson from Restoration were getting ready to rumble in the Ultimate Steak Challenge. The Butchers Club team came out firing with Stockyard Australian Dry Age Bone-In Rib Eye; and the Restoration team were always going to be on the ropes with a USDA Prime Bone-in Rib Eye. The undisputed winner was Chef Aarik Persaud from the Butchers Club, who was handed the accolade of 2013 Ultimate Steak Champion. Stockyard’s Dry Aged Bone-In Rib Eye is derived from our 200 day grain fed Angus fed on a nutritious ration of steam flaked grain, molasses, silage, vitamins and minerals. Angus genetics are renowned for their consistent performance both in the feedlot, and as a highly desirable beef product. 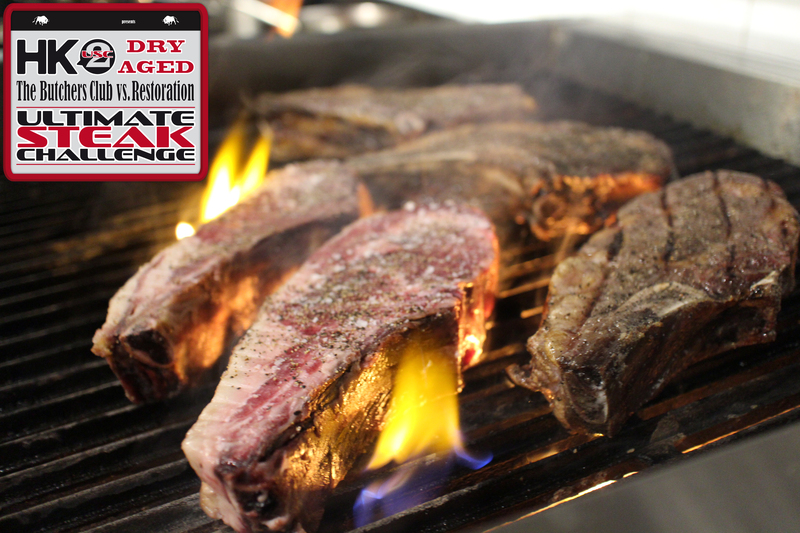 Stockyard Angus is a highly awarded product and we are privileged to now be able to add the title of Ultimate Steak champions to our award tally. Our thanks go to Chef Aarik Persaud and the Butchers Club in Hong Kong for their skillful presentation of our steak, and to our distributor Classic Fine Foods Hong Kong for their unwavering support of Stockyard.